Being in Tokyo Disneyland is a totally unique experience, and expecting a regular Disney park experience could leave you a little out of your comfort zone, so here are some of my top tips for doing Disney Tokyo-style! – Do not expect English – I’m serious! 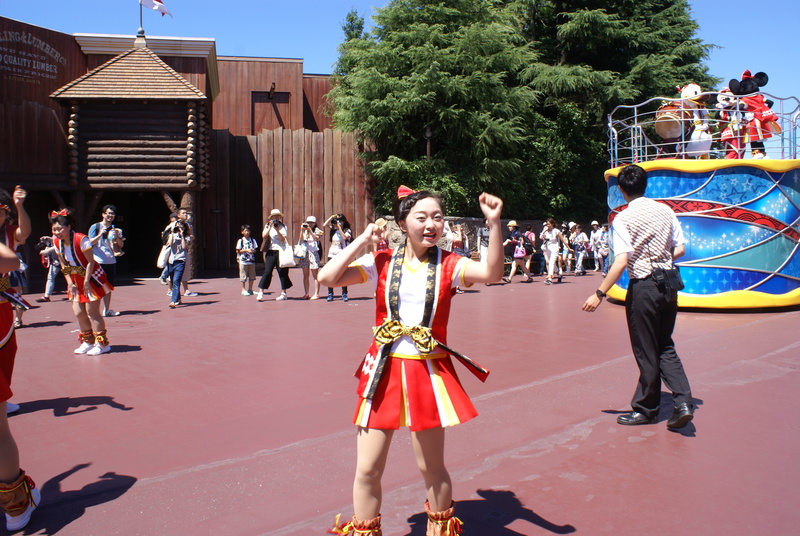 While there may be the occasional announcement in English or clip of English singing, all of the shows, parades and attractions are in Japanese, and most of the cast members speak very limited English, if any, so be prepared to mime, signal and act out your conversations, and embrace it – everyone has a laugh over it! Also don’t stress over not knowing the language, all you really need is hello and thank you, and you’re pretty much set. 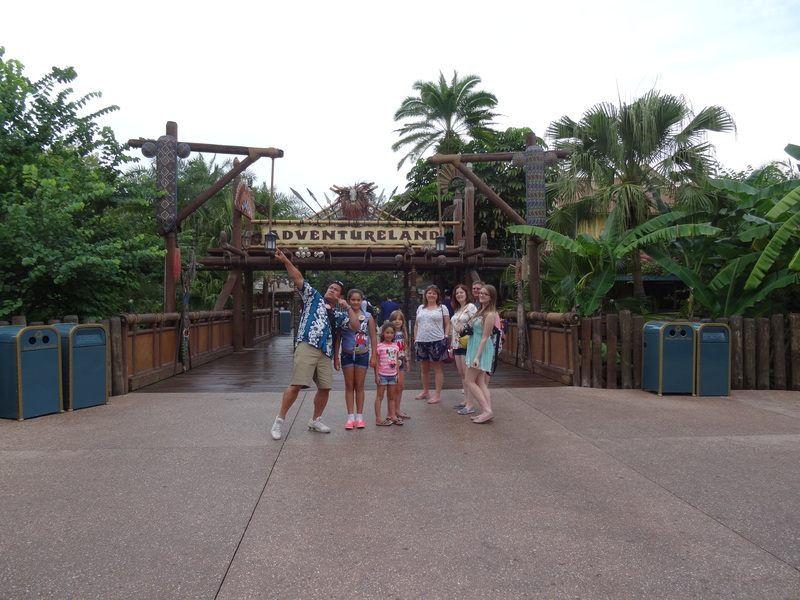 – Everyone is really friendly – cast members are literally everywhere, and their job is basically to wave and say hi. Smile and wave back, and you make their day! – Generally, the Japanese are pretty small – if you’re short (like me!) its ideal, say goodbye to watching parades on tip-toes! If you’re fairly tall, however, you may be asked to move at times, purely to be considerate to other guests. Similarly, the seats on rides tend to be a little smaller than on their American counterparts. – Personal space isn’t a big deal – you know when you’re waiting for a lift and its a little crowded so you decide to wait for the next one? Yeah that doesn’t happen so much in Japan, so be prepared to be a little out of your comfort zone if you like your space. – Tokyo Disneyland utilises the classic Fastpass system – going to the machine, getting your pass, and only holding one at a time. Be sure to make good use of these, Fastpasses are taken pretty seriously and you get to skip a lot of the line, and it could save you some major waits. – Characters randomly appear around the parks throughout the day, rather than at specific places and times, and they tend to have a slightly more eclectic range: The Rescuers, Wolfgang Puck, Jiminy Cricket etc, and you’ll be hard pushed to find a princess! They’re also not big on autographs, so although they’ll sign them, you won’t find anywhere to buy an autograph book. 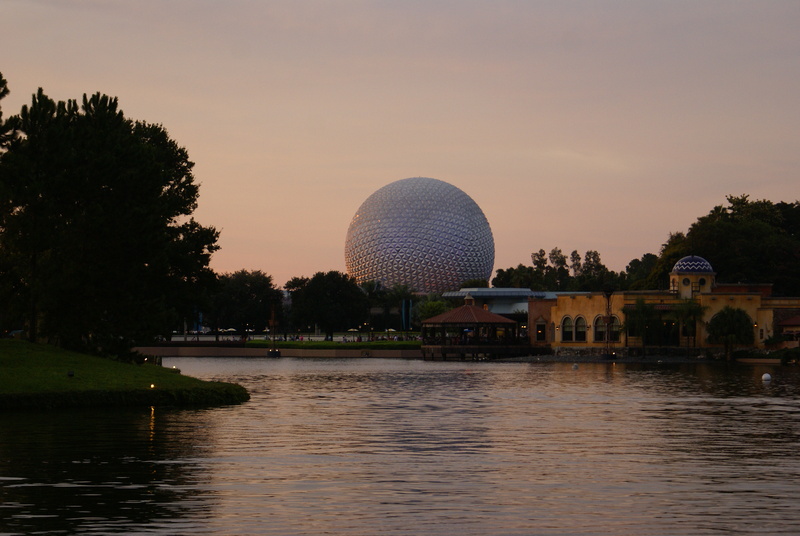 – Don’t expect wifi – unlike Disney World where you get free wifi everywhere, there’s no wifi connections available in the parks. – There’s no Photopass option – with the exception of a few meet and greets, there are no dedicated photographers in the parks, and no Photopass option. You can buy your ride photos, or order prints from your character meets, but that’s pretty much it. 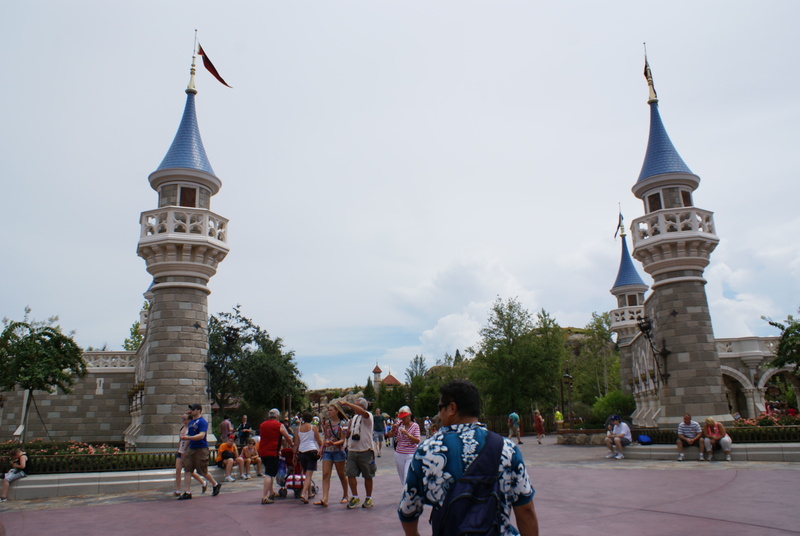 – Be prepared to be asked to remove hats and Mickey ears – if you’re standing to watch a parade or show, or even in attractions like Country Bear Jamboree and Philharmagic, you’ll be asked to remove any hats or ears so as not to block the view of those behind you. – Take the ‘get wet’ signs seriously – if you’re in one of these zones, its not a maybe, its a promise. We watched crowds get seriously soaked in these areas! – If you’re staying in a Disneyland resort, you get access to the parks 15 minutes early – don’t turn your nose up, it can mean the difference between a 20 minute wait and a 90 minute wait! 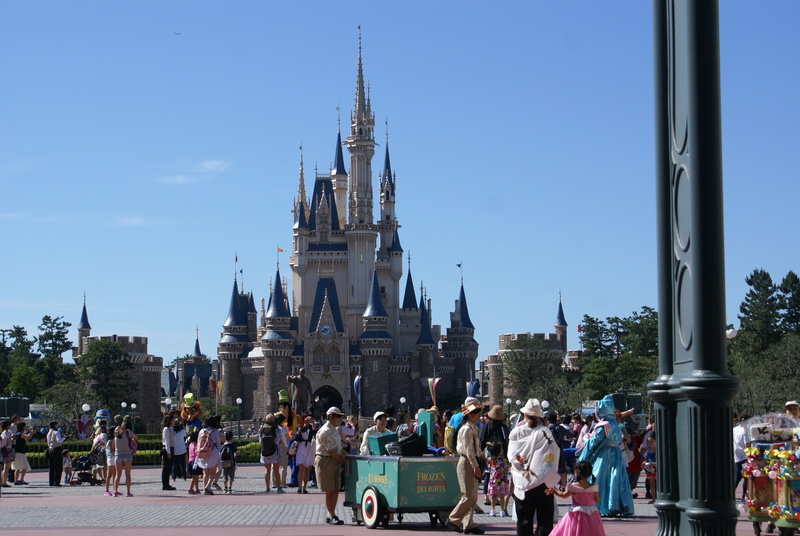 – The easiest way to get to your hotel or the parks is by train – the Japanese train system is flawless, and the JR line has a train station at Ikspiari, from which its less than 5 minutes walk to the Disneyland or Tokyo Disneyland hotel, or you can transfer onto the monorail. – The monorail isn’t complimentary – you’ll need to buy a pass! 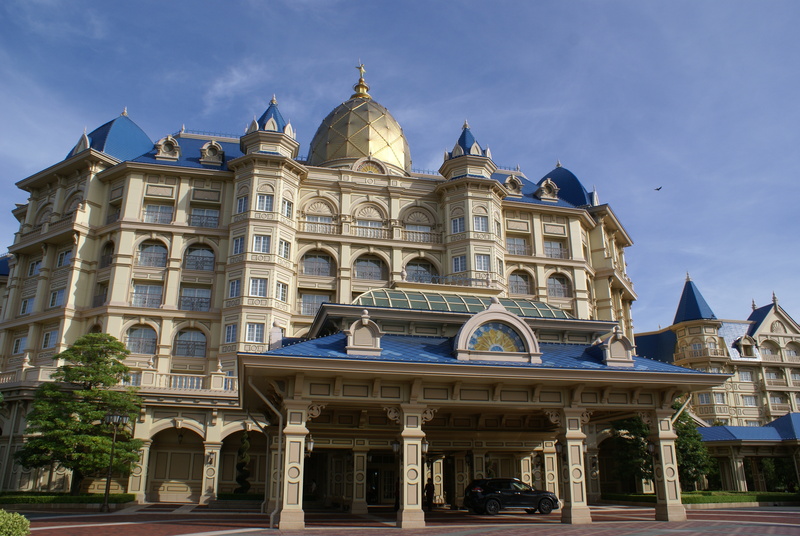 – The swimming pool at Tokyo Disneyland hotel is pretty small – don’t expect Floridian flamboyance! – Don’t expect Western food everywhere – while there are some Western options, most of the food is very much oriental based, and the Western options are a little odd: pizza with seafood etc. Portion sizes are also smaller than in American parks, but still very filling! – Beware of the coffee – I’m not a drinker, but my mum and sister both hated the Japanese coffee, apparently its crazy bitter. Also, some bottled drinks in the vending machines look like fruit teas, but are actually iced coffees. – On the subject, you won’t find a lot of milk or milk-based products – around 90% of Asians are lactose intolerant, so milk for tea and coffee, ice-cream etc is fairly limited. – Also beware of the popcorn – there are popcorn stands everywhere, but you’ll only find salted in a few locations. Flavours include honey, curry and soy sauce! – People save tables, and its taken pretty seriously – if you see a bottle or a jumper left on a table, don’t move it and sit there. Everyone does it, and everyone respects it, so find somewhere else. 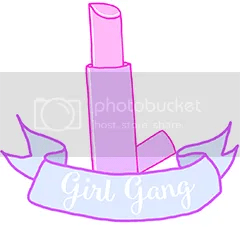 – The same merchandise is everywhere – don’t stress that you might have missed an opportunity to buy something, chances are it’ll be in the next shop you go into! – There are biscuits everywhere – souvenir biscuits are a big deal in Japan. They come in millions of shapes, sizes, fancy tins etc, and there are entire shops dedicated to them, so don’t resist! – Be prepared for all conditions, and possibly all at the same time – it can be burning hot and bucketing down with rain and blowing a gale simultaneously! Just do it. Go, experience it all for yourself, and you’ll have an incredible time, I promise! 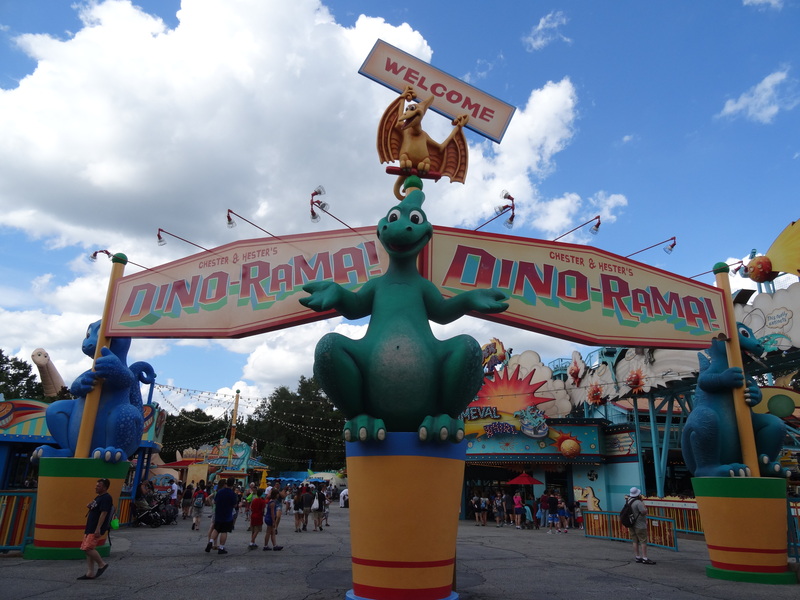 °o° Crowds tend to head to the big rides first (Toy Story Midway Mania, Rock’n’Roller Coaster, Tower of Terror etc), so if you don’t want to be stuck in hour long queues, save these for later in the day, or get your Fastpasses early as they’re snapped up quick. 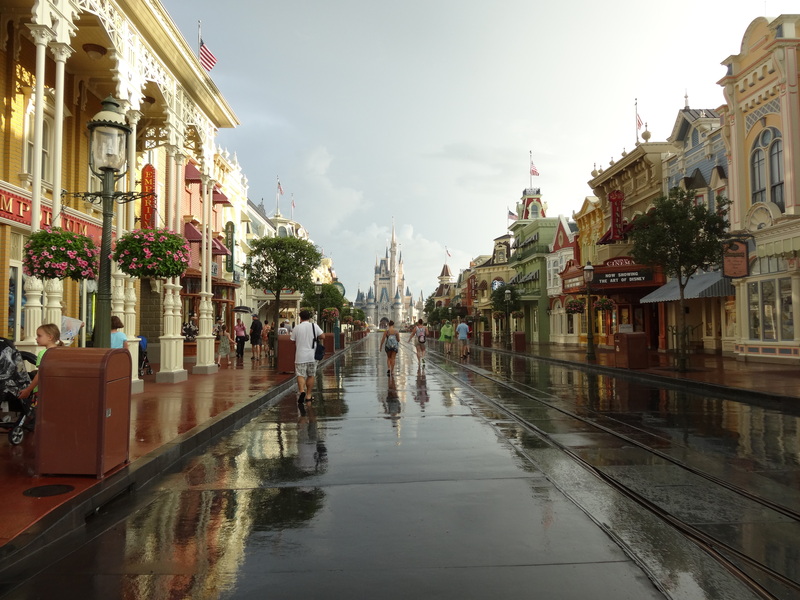 °o° In midday heat or pouring rain, head to one of the many indoor attractions: Muppets 3D, Animation Academy etc. °o° Try not to rush around, there are a tonne of tiny details you’ll miss otherwise! °o° The gas pump when you enter the park represents the opening date of the park. °o° Pull the rope of the well by Indiana Jones Stunt Show, you might just hear something! °o° Watch out for the fire hydrant near Muppet Vision if you don’t want to get wet! °o° Get a photo ‘Singing in the Rain’! °o° Each limo in the Rock’n’Roller Coaster plays a different Aerosmith track. °o° In Muppet Vision 3D, there is a sign saying ‘back in 5 minutes, key is under the mat’. Why don’t you check for the key? °o° The nautical flags above Dockside Diner actually spell out Dockside Diner! °o° The back of the Tower of Terror is designed so that when you see if from nearby Epcot, it blends in with the Morocco Pavilion. °o° Outside The Great Movie Ride are a load of hand prints in the ground, have fun finding which famous person you match with. °o° Young wannabe Jedis can try their skills out at Jedi Academy, and even face Darth Vader himself! °o° The Fantasmic lake is only 18 inches deep. °o° You can enter the park 15 minutes early, and Mickey and the gang greet you by the Tree of Life. °o° Grab a map and schedule; there are so many unique character meets in the Animal Kingdom such as Rafiki, Baloo, Russell and Doug etc. °o° Crowds tend to head for Kilimanjaro Safaris first thing as the animals are usually more active in the morning. That being said though, you’re likely to see animals any time of day, so if you can, hold off til the afternoon when queues will be shorter. °o° Be sure to wear comfortable shoes; while walking is a given, AK has lots of adventurous trails to explore. °o° If you’ve stopped off at The Rainforest Cafe before heading into the park, use the secret entrance at the back of the gift shop to skip the queues at the main entrance. °o° At Adventurer’s Outpost, you can meet Mickey and Minnie in their safari gear. This is the only place you can see the two of them in these outfits, so is a totally unique photo opportunity. °o° At various stations around the park, kids can receive stamps in a ‘passport’ for completing activities – collect all of them for a special prize! °o° There are red, yellow and white pipes found on Dinosaur, each with a chemical formula on them. The formulas are actually the real formulas for ketchup, mustard and mayonnaise! °o° See if you can spot DiVine – she’s a fabulous live act, but hard to find as she’s usually part-tree! °o° The highway sign Route 498 symbolises the park opening in April 1998. °o° You can squirt riders on Kali River Rapids from the bridge near the exit. Don’t feel guilty, they’ll already be soaked! °o° If you’re a coffee addict, the Kusafiri Coffee Shop is the place to get your fix. °o° Don’t rush from attraction to attraction, there are so many things to see as you walk around the park! °o° You can hop on the Wildlife Express Train in Africa, which takes you across to Rafiki’s Planet Watch. °o° One of the best ways to meet characters is at the Epcot Character Spot. Its just past Spaceship Earth on the right of the park, and if you head there as soon as the park opens, you’ll get to see Mickey, Minnie, and Goofy all in one go, with a wait time of under 15 minutes. °o° Innoventions East and West are full of tonnes of interactive activities to entertain all ages. °o° Complete habit heroes in Innoventions East, and you’ll get a free rubber wristband! °o° If you’re susceptible to motion sickness, there is a separate queue for Mission: Space which leads to a version of the ride which isn’t so spinny! °o° Take a trip to Club Cool for free samples of international Coca Cola brands – trick your family into trying Beverly, its gross! °o° The large fish tank in The Living Seas is the second largest tank in the US, and could fit Spaceship Earth inside it with room to spare! °o° Only one of the totem poles in Canada is real, see if you can work out which one it is. °o° The Rose and Crown pub in the UK is so named as ‘rose’ and ‘crown’ are the two most common featured names of English pubs. °o° Although it may not seem like it, each country’s pavilion is the same width, to give all countries equality. °o° Between the UK and France is a path that leads out of the park via the International Gateway. From here you can take a quick 15 minute walk across to The Boardwalk, or explore some of the resorts gathered around the lake. 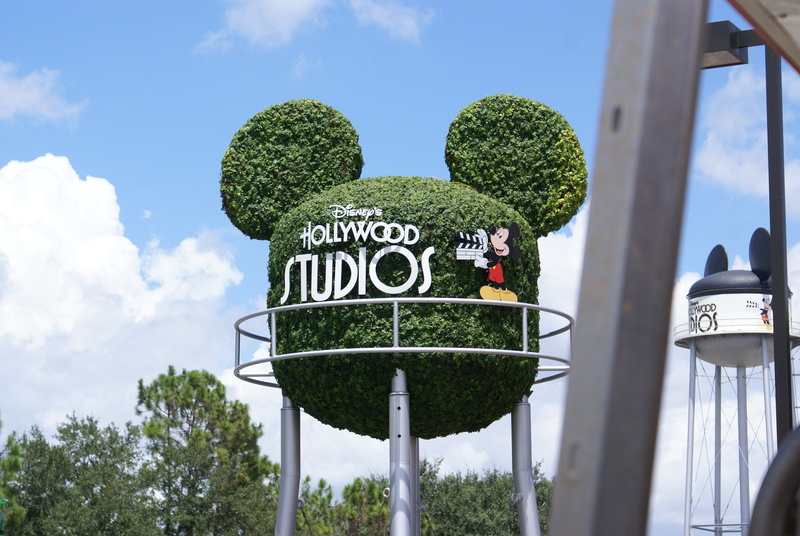 There is also a footpath that leads to Hollywood Studios; its about 30 mins walk, which at times is quicker than other transportation. °o° Sometimes Chef Remy will visit you at Le Chefs de France. °o° The Morocco Pavilion was actually built by and paid for by the Moroccans. °o° In the Japanese pavilion, you can purchase a range of souvenirs from authentic tableware to Pokemon toys. °o° The statue on the right as you enter Japan was a gift from the Japanese government. °o° While the American Adventure building appears to be only 3 stories high, it is actually 5! °o° Check out the big clock in Germany. On the hour a wooden boy and girl pop out and twirl around a bit. °o° If you buy a fan or parasol in China, you can have it personalised for free with your name in traditional Chinese writing. °o° The acoustics of the temple in China are so perfect, if you stand in the centre of the room, your voice will echo back to you! °o° Buildings in Norway have grass growing on the roof, to reflect traditional Norwegian buildings, but a lack of Epcot goats to munch on the grass means cast members have to trim it! °o° La Cava del Tequila in Mexico has over 200 tequilas in its cellar, hello margaritas! °o° On your way in, grab your park map and schedule; sometimes parades and shows happen at different times due to the day/season/occasion. °o° All the shops are conjoined – when Main Street is packed, like park closing, make a dash to the nearest shop and cut through there, you’ll save a load of time! °o° The shops don’t shut until an hour after park closing, so if you’re not in a rush to get to bed, you can take your time browsing souvenirs. °o° If you need any help, pop into City hall, or if you have any Photopass problems, Town Square Theater is the place to go. °o° With any luck you won’t need to, but should you have any medical problems, First Aid is just next to Crystal Palace. °o° If you can, watch the Main Street Electrical Parade on a Friday – they make it longer with additional floats. °o° Sneaky devices emit the scents of cookies and vanilla onto Main Street. °o° There’s a secret apartment above the fire house to reflect Walt’s apartment. °o° Most people head to Fantasyland first, so Adventureland is really quiet in the morning – hello queue times under 5 minutes! 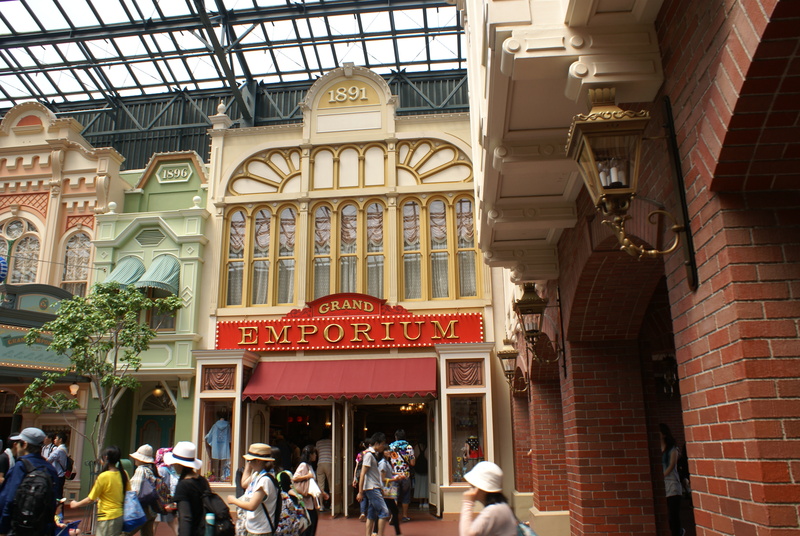 °o° Most attractions and shops are indoor or undercover, great for avoiding middle of the day sun. °o° Watch out for spitting camels! °o° On Pirates of the Caribbean, look out for Ab Lincoln disguised as a pirate – when Hall of Presidents was updated, the retired animatronic was moved here to live out the rest of his career! °o° The skeletons playing chess in the queue for Pirates of the Caribbean are at a stalemate – how ironic! °o° Most people don’t like doing Splash Mountain first thing, so its pretty quiet, but if its hot, its a great way to keep you cool. °o° While a lot of the queue for Big Thunder Mountain is under cover, its still very warm during hot seasons, so don’t get stuck in a long queue around the middle of the day. 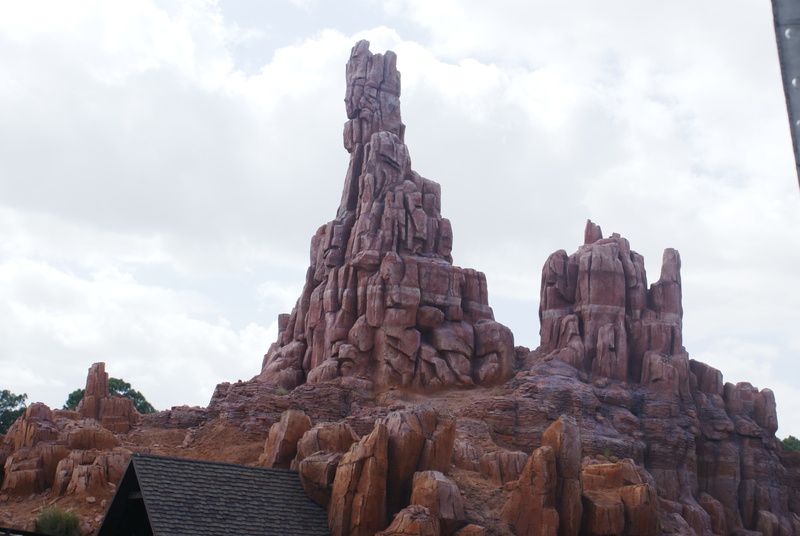 °o° From Frontierland, you can catch a ride to Tom Sawyer’s Island to explore, and look for hidden paintbrushes. °o° Sometimes parades run reverse routes and begin near Splash Mountain. °o° You can meet Woody and Jessie near the queue for Splash Mountain. °o° If you’re a Vinylmation collector, Frontier Trading post trade and sell figures. °o° During the heat of the middle of the day, Liberty Square is an ideal place to be; all the main attractions are indoors, and hold a lot of people. °o° Many of the displays in the waiting area for Hall of Presidents are authentic items that belonged to former presidents and their families. Disney also needed special permission from the US State Government to have the Presidential Seal on the carpet. °o° Tucked into a small corner of Liberty Square is a year-round Christmas store: Ye Olde Christmas Shoppe. °o° In the queue for The Haunted Mansion, you pass a pet cemetery where you’ll see a tombstone for J. Thaddeus Toad, a nod to the former attraction, Mr Toad’s Wild Ride. °o° Each building in Liberty Square has a 2 digit house number – put an 18 in front of each number, and it gives you the year from which that style of building came. °o° There are no restrooms to reflect a lack of plumbing during that period in history. 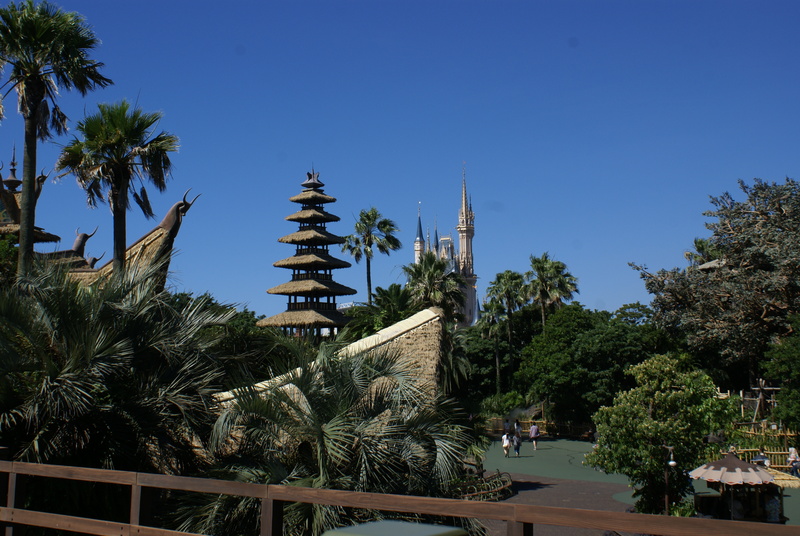 °o° The Liberty Tree holds 13 lanterns, to represent each of the original colonies. 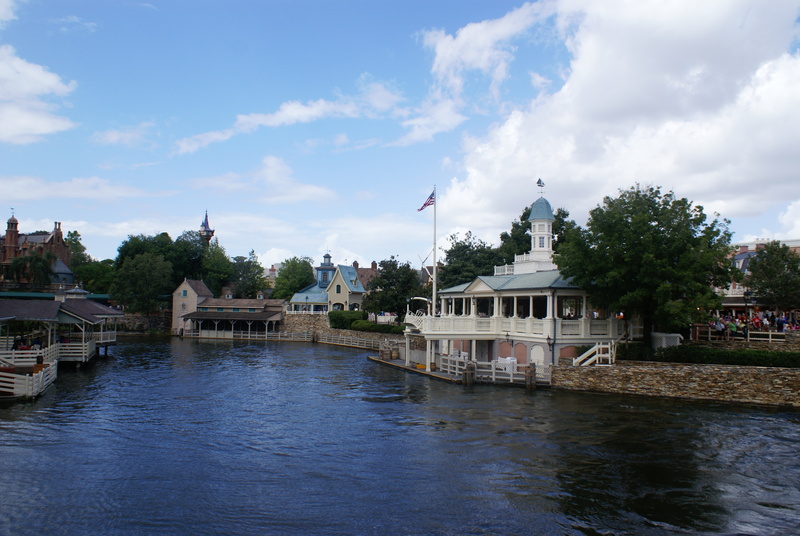 °o° Ask to pilot the Liberty Belle! °o° As you start your trip on It’s a Small World, look up and wave at diners in Pinocchio’s Village Haus! 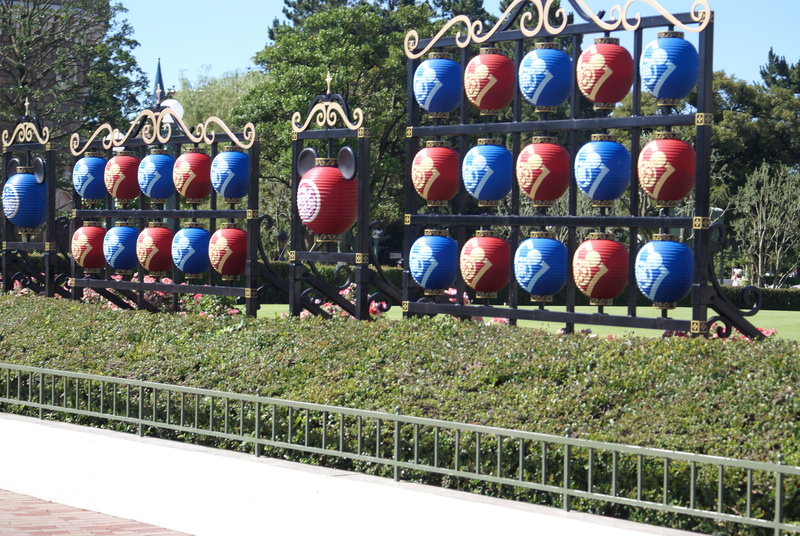 °o° You can ride Cinderella’s horse on Prince Charming’s Regal Carousel – its the one decorated with purple flowers. °o° You’ll find another nod to Mr Toad on The Many Adventures of Winnie the Pooh ride; Mr Toad appears in several pictures to mark the fact that this ride replaced his own. 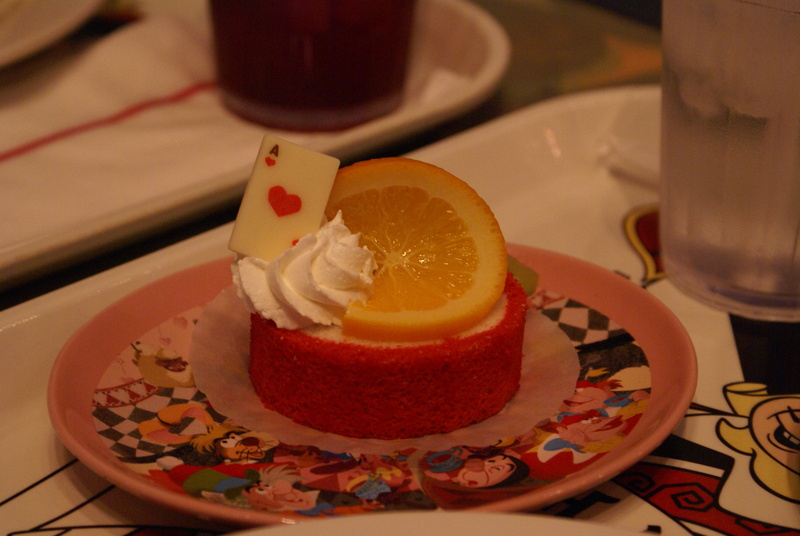 °o° Ride the lilac teacup on the Mad Tea Party – it goes fastest! °o° Try and pull the sword from the stone; you just might succeed. °o° Through Storybook Circus is another stop of the railroad, continuing road to Main Street. °o° Dumbo the Flying Elephant Ride has a new interactive queue – inside the Big Top is a play centre where you can wait, and a pager will let you know when its your turn to ride. °o° In Pete’s Silly Slideshow, you can meet your favourite characters in wacky circus outfits – great unique photo opportunities! °o° Tomorrowland is an ideal place to go at all extremes of weather: hot, cold, wet etc, as almost all the attractions are indoors, as are the queues. Even the TTA Peoplemover is fairly safe in rain – we took cover on it during a horrendous rainstorm, and stayed pretty dry! 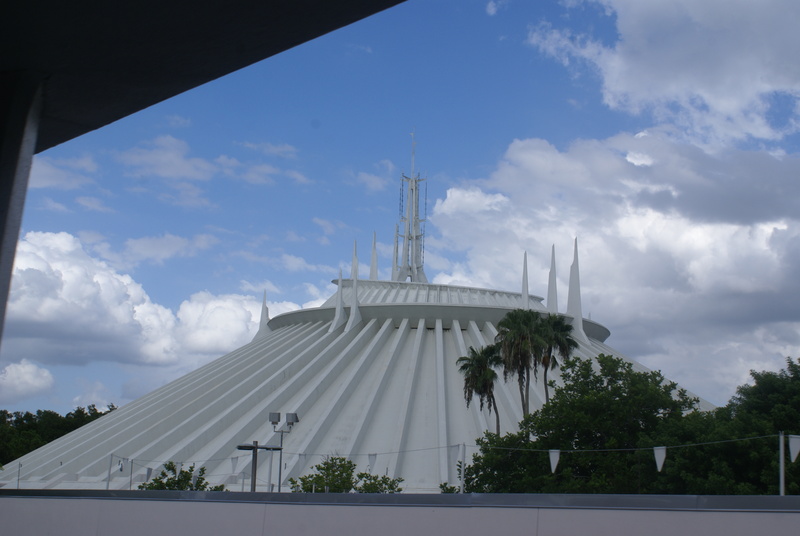 °o° Get a Fastpass for Space Mountain, whether its busy or not. The Fastpass queue leads to the track on the righthand side, which is longer and faster, with more bumps and turns. °o° There’s a quiet path round the side of Space Mountain, which leads to Fantasyland through the Storybook Circus – also a good way to get to the railroad. °o° The TTA Peoplemover runs through the top of a few rides, look out into Buzz’s Space Ranger Spin and Space Mountain, and also spy on shoppers in Mickey’s Star Traders.